The China-Italy Chamber of Commerce is glad to inform you of the publication of “IP & Technology Transfer in the PRC”, a Webinar conducted by Ms. Valeria Manunza - Vice Coordinator of the CICC Intellectual Property Working Group (IPWG) and Manager in the International Business Advisory team at Dezan Shira & Associates. The Webinar is part of the Chamber’s activities as implementing partner of the EU SME Centre. 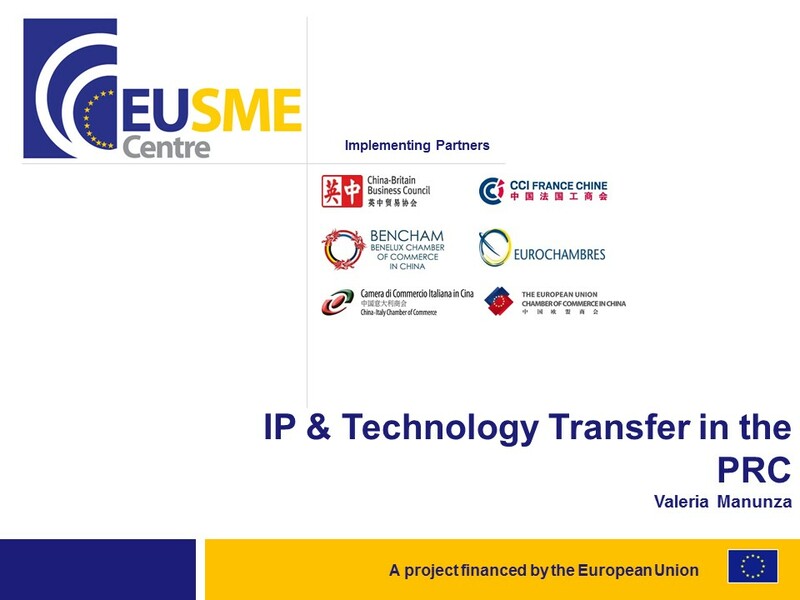 This webinar introduces IP technology transfer with a focus on the most common issues of SMEs in technology transfer. It also analyses typical case studies to provide practical advice and share good practice on how to minimise the risks for your company. What is IP Technology Transfer? What to be careful about? You can find the recorded video of the Webinar here. The EU SME Centre is a European Union funded initiative helping SMEs get ready to do business in China. Located in Beijing, the Centre provides practical information, confidential advice, and training in the areas of business development, legal issues, standards and HR to facilitate market access for European SMEs. The Centre also acts as a platform to facilitate coordination amongst Member State and European public and private sector service providers to SMEs.